The Chilean government yesterday rejected the controversial HidroAysén hydroelectric power project, citing unresolved environmental concerns. The project would have involved construction of five major dams in the country’s environmentally sensitive Patagonia region. Although project managers can appeal the decision, HidroAysén’s eventual success now seems unlikely after seven years of sustained public protests. The $8 billion project was put forward as an environmentally friendly way to provide for Chile’s rapidly increasing energy needs. Currently the country is a net importer of energy, and costs are high to consumers and industry. The project proposed to boost the country’s current production of 17,500 MW per annum by a further 2,750 MW. However, in doing so it would have flooded 5,900 hectares (15,000 acres) of pristine wild river country. It also would have required the construction of a 2,000 kilometer (1,240 mile) transmission line to bring the power to the country’s north, where the population and mining activity are most concentrated. 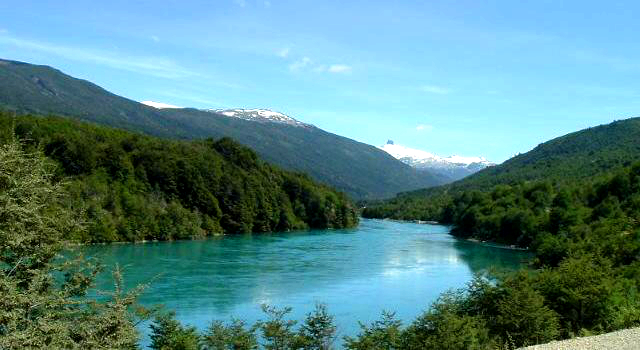 The Chilean–Spanish joint-venture project now has 30 days to protest the decision in the Environmental Court of Valdivia. If that fails, the challenge could also go to the Supreme Court. There is also the possibility of revising the proposal to make it more environmentally and socially palatable. Commentators note, however, that chances of success are significantly hampered by the government’s decision and lack of public support, with the company now exhausted by protracted legal battles. 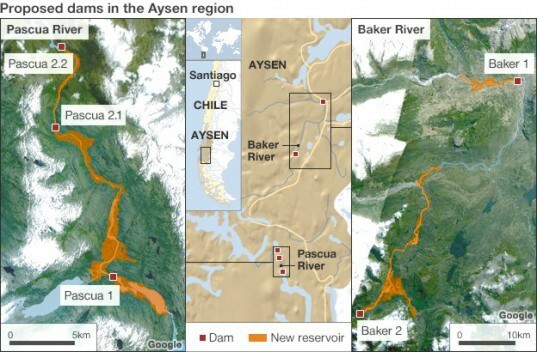 The Chilean government has rejected the controversial HidroAysén hydroelectric power project, citing unresolved environmental concerns as the reason for its decision. The project had been slated to build five major dams in the country’s environmentally sensitive Patagonia region. Although project managers can appeal the decision, HidroAysén’s eventual success now seems unlikely after seven years of sustained public protests.